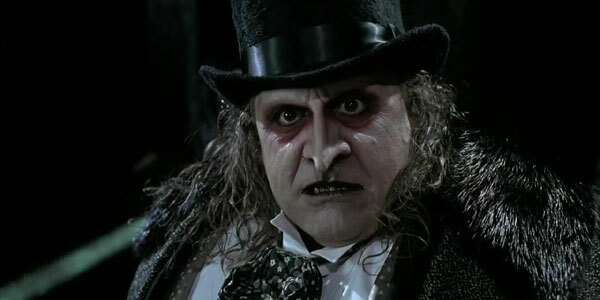 The Penguin, real name Oswald Chesterfield Cobblepot has called on Brits to vote for the Labour Party and back Jeremy Corbyn ahead of the UK elections. While Corbyn it appears is relishing in his new-found mobster and criminal fan base, it appears The Penguin’s calls have backfired as scrutiny ranged from those criticising his “millionaire” status, while others not taking too kindly on being told how to vote by a criminal, especially one resembling an arctic bird. Regardless of the rich and famous insisting on who you should vote for, YouGov recently exposed celebrity endorsements as a sham, with 87 percent of voters insisting they don’t follow famous faces and their advice at the polling station. What’s more, those who do pick up on celebrity pleas are more likely to turn against them. The Penguin’s remarks come after One Direction singer Harry Styles, 23, bemoaned Brexit as he hit out at Britain’s decision to leave the European Union. Despite vocal support from a feared and villainous mobster, Corbyn is still trailing dismally behind Prime Minister Theresa May in the polls, with Labour steering towards a humiliating defeat on June 8. Brainstain has reached out to representatives of Batman to get his view and insight on whom he will be backing in the UK election, but have yet to receive a response from the Dark Knight.